The second language acquisition theory is the brainchild of renowned linguist and researcher, Stephen Krashen. The theory is important because as early as the 1980s, it was influencing all research into how a second language is acquired. According to the theory, one does not need to use grammatical rules of the target language extensively in order to learn it. All that is required are meaningful interactions in the language, which generally focuses more on the message that is conveyed than the grammer and rules of speech. Competence in the language is acquired as a result of receiving comprehensible input without having undergone any formal instruction or training on the grammar or reading of the language. Krashen’s theory consists of the following main hypotheses. According to Krashen, there are two second language performance systems. – Acquired system, where language is acquired subconsciously. This happens when a child, for example, who has been exposed to a language in a natural environment, like home or school, starts reproducing correct grammatical structures unconsciously. The child focuses more on communicating his message and the language that comes naturally to him. As he has not learnt the language, he does not focus on what he is uttering. Acquisition of a language only happens when a child can understand the message in the second language. 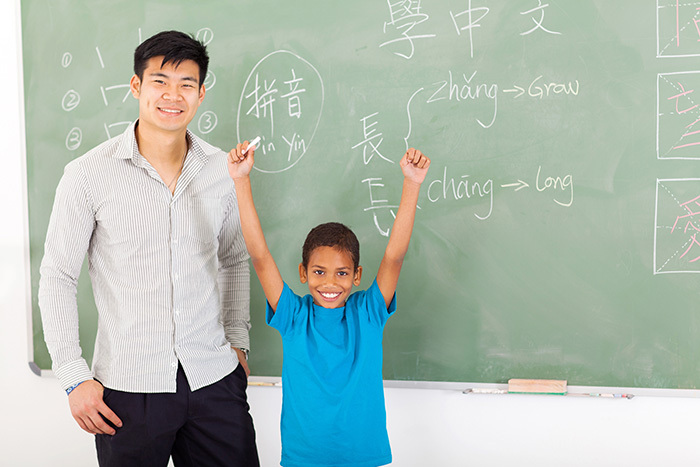 – Learned system, where an individual learns a language through formal instruction in a classroom setup. Here, the focus is on learning the rules of grammar and being conscious of the process through which they understand the form of the language. When comparing these two systems, Krashen points out that acquisition is more important than learning. He feels that learning can only test a person’s knowledge of grammar, but when a person has to focus on the content he is producing, mistakes in grammar will occur. Learning grammar does not ensure that one knows how to use it correctly. Fluency in a language requires the person to efficiently communicate the message. Therefore, for true mastery of a language, the individual should acquire it. This hypothesis has been criticized for failing to provide sufficient evidence and for the fact that language has been mastered in formal setups as well, where students do not interact with people and yet speak the second language in a natural setting. Krashen believes that every second language learner has a monitor that he uses to refine his language. A learner will use his learned system as a monitor to polish, edit, and correct what has been learned through his acquired system. A monitor can be used more easily in written than in oral form. This is because while talking, there is more focus on what is being said rather on how it is being said. Also, there is normally very little time to recollect what rules one has learned about the language. Second language learners can either over-use, under-use or optimally use their monitors. The criticism here is that there is no concrete knowledge of how the monitor works and if it actually works at all. There is also a debate as to why a monitor should only exist in a learned system. This hypothesis states that individuals tend to acquire grammatical structures of a second language following a natural order that is predictable. This means that they are more likely to acquire certain grammatical structures before others. The acquiring patterns are different for the first and the second language. But the acquiring patterns for a second language are the same for both a child and an adult. The hypothesis is criticised for being based solely on observations of how a second language that is used in a surrounding environment is acquired by people. The second criticism is that it makes the process of cognitive learning seem very simple by drawing a clear distinction between acquiring and learning. This hypothesis explains how a language is actually acquired. When a person, is exposed to comprehensible content/input by reading or listening to language structures that exceeds his current stage of language competence, he acquires the language. Krashen uses the formula i+1 to show that input should consist of language structures from the next stage. Krashen believes that, learning progresses and takes place in a natural order and not all individuals will have the same level of competence. Hence, the natural communicative input should be used to meet individual needs. The input should not consist of grammar structures that have been used on purpose and should be natural. Finally, the learner should not be forced to speak. Speech will occur when he is ready. In this hypothesis, comprehensible input cannot be clearly defined. The other criticism is that the language level of a learner or a level higher than their existing level cannot be determined. According to this hypothesis, the emotions of an individual act as filters that help or obstruct the acquisition of language. A highly motivated and confident person with low anxiety levels will be more successful than someone with low motivation, confidence and high anxiety levels in acquiring a language. Lower levels of motivation and confidence will hinder the process of subconscious language acquisition. The criticism is that this filter is said to be present only in adults and not in children and there is no concrete explanation of how such filters work.